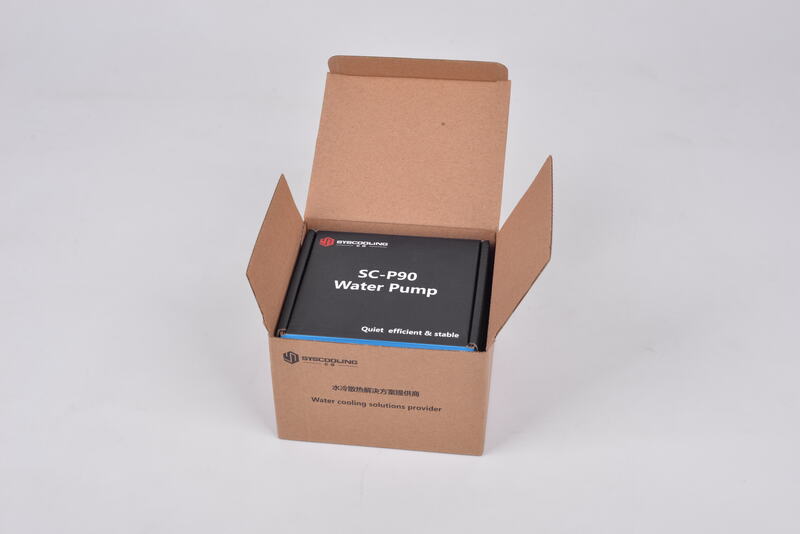 Water Cooling Pump can be considered more sophisticated equipment, especially in the impeller and bearing parts. So in order to ensure that the finished DC Water Pump meets the design requirements, we use the import German precision machine tools, and strive to lower the tolerance down to the lowest level. Say NO to noise! Brushless Water Pump adopts special material bearing and MCU control three-phase brushless DC circuit. So our pump can working silently not hurly-hurly. And the pump peed can be controlled by the user. The Maximum flow of our Mini Water Pump 12V DC can be 450L / hour, the maximum lift is 3.0 meters, strong performance as a powerful heart. Packing: Two tiers carton with Plastic Bag. Providing High protection. The company has multiple production lines and diversified product lines, which comprehensively covers the whole set of water cooling heat dissipation system, including water cooling circulating pumps, water blocks, radiators, connectors, heat conducting liquids, fans, etc., meanwhile, the company could, based on customer demands, design and customize specific water cooling heat dissipation products, which are widely applied to many industries with heat dissipation demands, such as electronic products, industrial production, photoelectric industry, and electric communication. 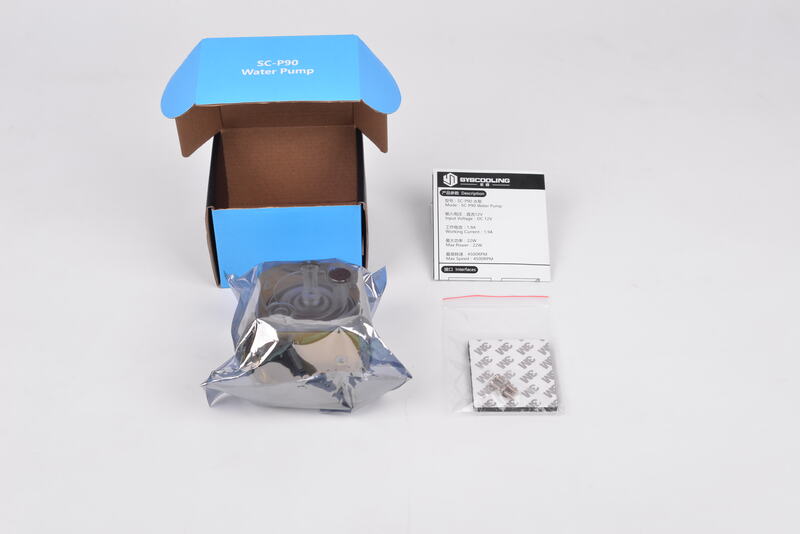 The products have excellent quality, meet the ISO9001 Quality Management System Certification and EU RoHS Environmental Protection Certification, and hold the brushless water pump technical patent. 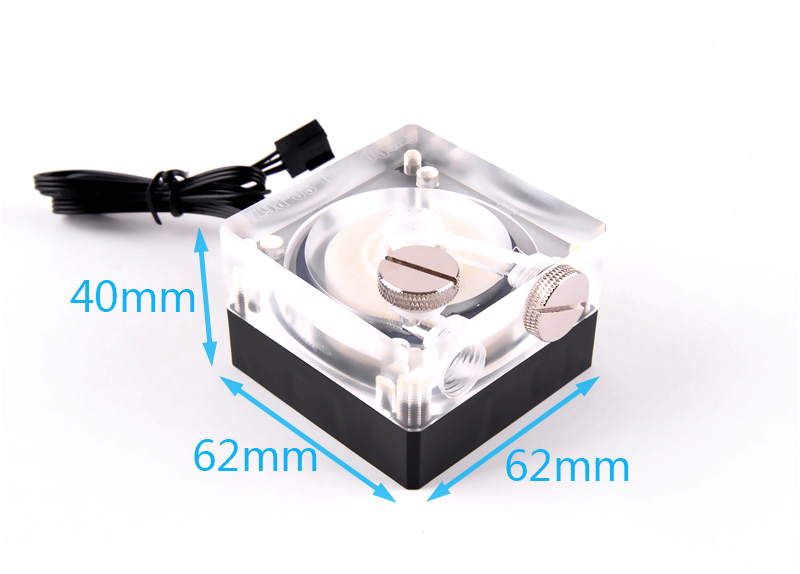 Looking for ideal Water Cooling Manufacturer & supplier ? We have a wide selection at great prices to help you get creative. All the Water Air Cooling Fan are quality guaranteed. We are China Origin Factory of Water Cooling Machine. If you have any question, please feel free to contact us.